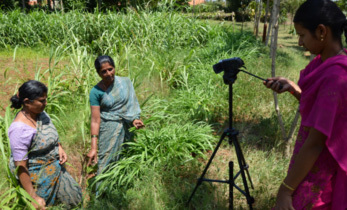 A new multimillion-dollar initiative is poised to disrupt food production across the developing world – to make it more productive, efficient and resilient – through the power of information. The CGIAR Platform for Big Data in Agriculture was launched at the 9th Annual ICT4D Conference being held in Hyderabad, India. The Platform aims to exploit the capabilities of big data to accelerate and enhance the impact of international agricultural research especially on the most vulnerable of regions and populations. The big data initiative will bring together thousands of experts – from crop scientists at universities and research organizations to computer programmers at some of the world’s leading technology firms. They will collect, collate and analyze vast amounts of data on crops, weather, soils and more, with the aim of producing some of the most precise and reliable recommendations for farmers, governments and policymakers in developing countries. 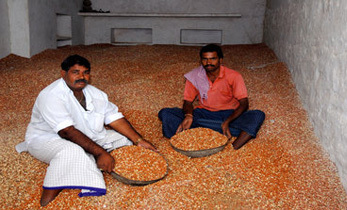 Organize – data on soils, climate, crops and more will be organized, standardized and made publicly available by the organizations that generate it. 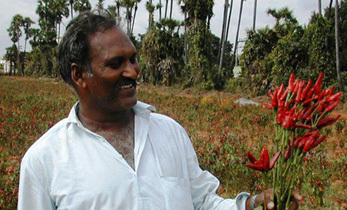 The Platform will begin by prioritizing the free and open sharing of data held by researchers at the 15 CGIAR centers – the world’s largest network of agricultural research organizations. Convene – foster new partnerships between the agricultural science and technology sectors in order to bring together the best minds, and accelerate progress towards achieving the United Nations’ Sustainable Development Goals (SDGs). 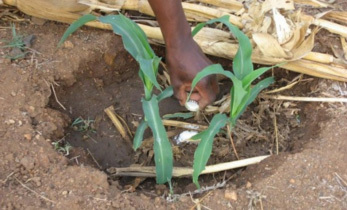 Inspire – put the data and partnerships into practice via a USD 4 million fund to support innovative projects with big data approaches at their core, such as real-time monitoring of pest outbreaks, or site-specific recommendations for farmers on water and fertilizer use. Hosting a panel discussion on the capacity of big data to influence social change, Dr Bergvinson said, “Big data is blurring the boundaries between industries. This innovation in the way we collect, analyze and act on data is what can help drive impact for sustainable and equitable development.” Panelists gave real-life examples of how big data could help derive insights into infrastructure, gender, health, food security, as well as business and social development. 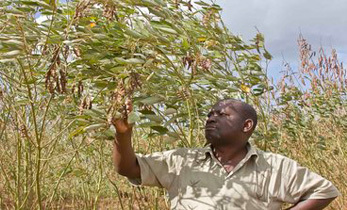 The CGIAR Platform for Big Data in Agriculture is jointly led by the International Center for Tropical Agriculture (CIAT) and the International Food Policy Research Institute (IFPRI), in partnership with tech giants including IBM and Amazon. The six-year initiative will provide global leadership in organizing open data, convening partners to develop innovative solutions, and demonstrating the power of big data analytics through inspiring projects that focus on improving agriculture in developing countries, and informing policymakers. The big data project was launched on 15 May and the plenary panel discussion took place on 16 May at the ICT4D Conference. 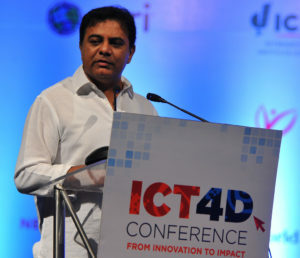 The 9th Annual ICT4D conference was held in Hyderabad, India during 15-18 May 2017. It focused on the ways in which technology solutions could allow data to accelerate the achievement of the United Nations’ Sustainable Development Goals. Approximately 1,000 individuals attended the conference—technical experts from a myriad of disciplines, representatives of governmental, non-governmental and private sector organizations, and individuals from countries across the globe. 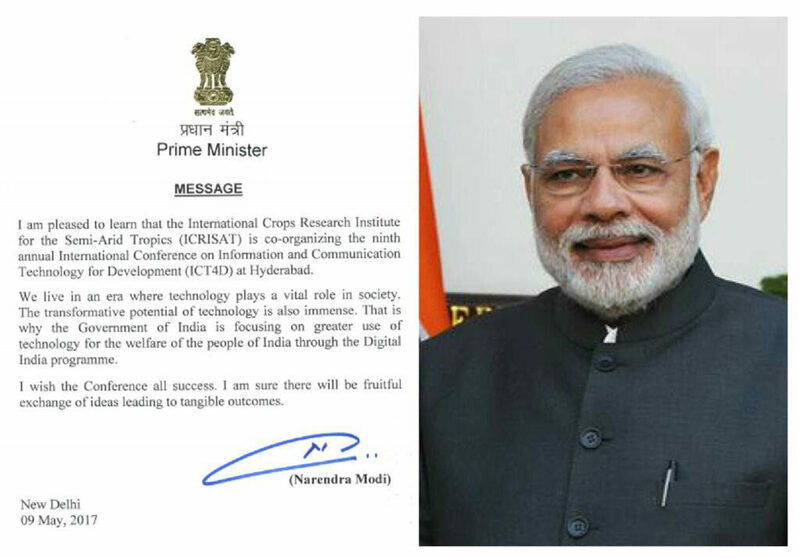 Prime Minister Narendra Modi’s message to ICRISAT. 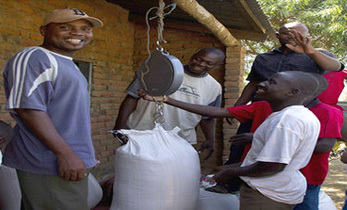 Partners: Catholic Relief Services, Mercy Corps, World Vision, NetHope, the Anudip Foundation, Dalberg, the Digital Impact Alliance (DIAL), the Environmental Systems Research Institute (Esri), iMerit Technology Services, and the International Crops Research Institute for the Semi-Arid Tropics (ICRISAT). The team is supported by Microsoft, Google Earth Outreach, CGIAR, Cyient, Digital Globe, DuPont, Oxfam, aWhere/GDA, and RTI International.